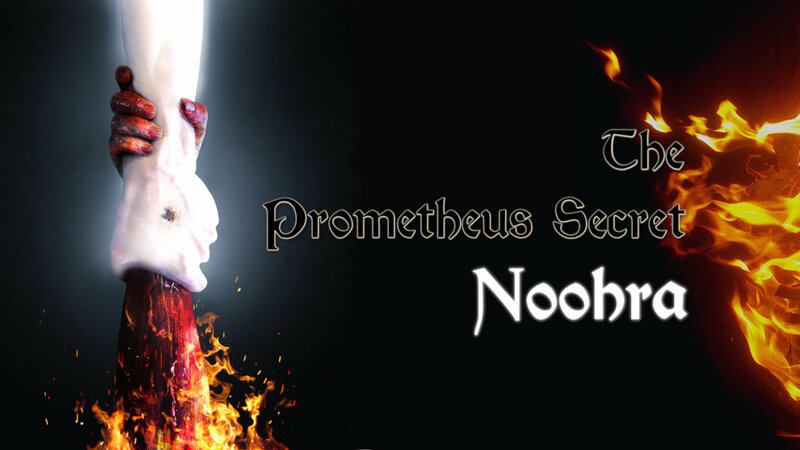 The Prometheus Secret Noohra is a single player 2.5D physics puzzle platformer combined with fast-paced card combat. This indie game is the labor of love of one man, created over a period of three and a half years and dedicated to all those battling their own darkness, struggling to defeat their demons and fighting the good fight one day at a time. 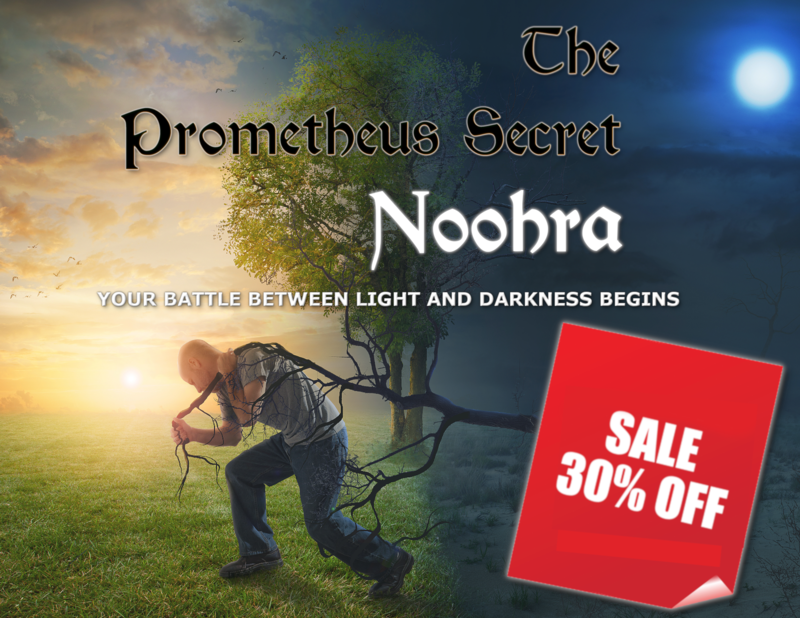 Noorah, Aramaic for light, along with darkness, plays a major role in the game - not only in the story, but also dictates the mood and design of the game. Path of Deeper Truths - A 7 level indicator that highlights the condition of the player's soul. Level 7 the soul being righteous and full of light down to zero having no light and the soul being classed as immoral. Dark Traits - The darker the soul becomes the more chance the player will have of gaining a random dark trait, which will empower the bosses they challenge. Health Points - The player will lose health. Light - The fire orb will lose light, which makes it challenging for the player to identify vital symbols scattered around the world(s). These symbols are needed for a time lock at the end of each world. Experience Points - The player gains XP leak and will lose XP every 10 seconds equal to the amount of Noorah lost. Wealth - Lastly, a player will lose coins from their purse. 2.5D Physics Puzzle Platformer - Explore beautifully crafted ancient worlds from different time periods. Magic Card System - Unique fast-paced magic card boss battles. Cards - More than 100 different cards categorized into three varied classes. Orb abilities - A number of abilities each with multiple upgrade opportunities. 6 - Egotistic: Opinionated, vain and boastful. 5 - Self-centred: Concerned solely about one’s own interests and welfare. 4 - Pessimistic: Tendency to expect only bad outcomes, gloomy, joyless and unhopeful. 3 - Odious: Deserving or causing hatred, hateful and detestable. 2 - Belligerent: Warlike and given to waging war. 1 - Destructive: Tending to destroy and causing destruction or much damage. Spirit Scrolls - Empowers the player during boss fights with 20 scroll types to collect, which are categorized into 3 varied classes. Global leader board and one board for each stage. Achievements - 25 achievements to unlock. Feast of lighting and shadow - With each defeat, the world will grow a bit darker. Token Management - 20 tokens to collect, trade and unlock. Hero's - 3 male and female hero sets. Player experience points and levelling system. Place of Shadow - 20 very challenging set of unlockable boss battles. Unlockable treasure caves for a chance to earn big coin rewards. Wheels of Fortune mini game to win coins. Find various hidden caverns to earn bigger rewards. Awesome music track composed by Ian Anderson. 100 Key Giveaway and Week Long Sale! Now is your chance to become a light bearer, do you have the mind and the perseverance to defeat the darkness, or will he master you? 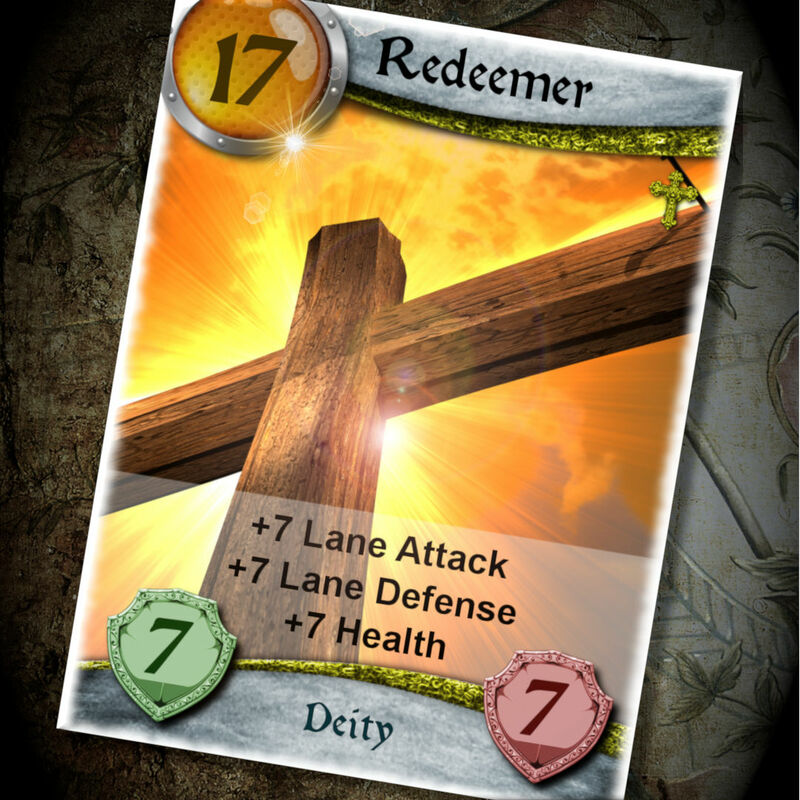 The Redeemer shines light into any dark situation and is probably one of the most powerful card in the Mythic deck, it understandably requires a manna of 17 to play. A total of 14 inflated attack and defense values, you mostly would blast through any defense your opponent has managed to muster. A kill spell would however see these inflated values dropped down to the base value of 7. Additionally you receive +7 to your HP that is always a welcome bonus in the latter stages of a round. 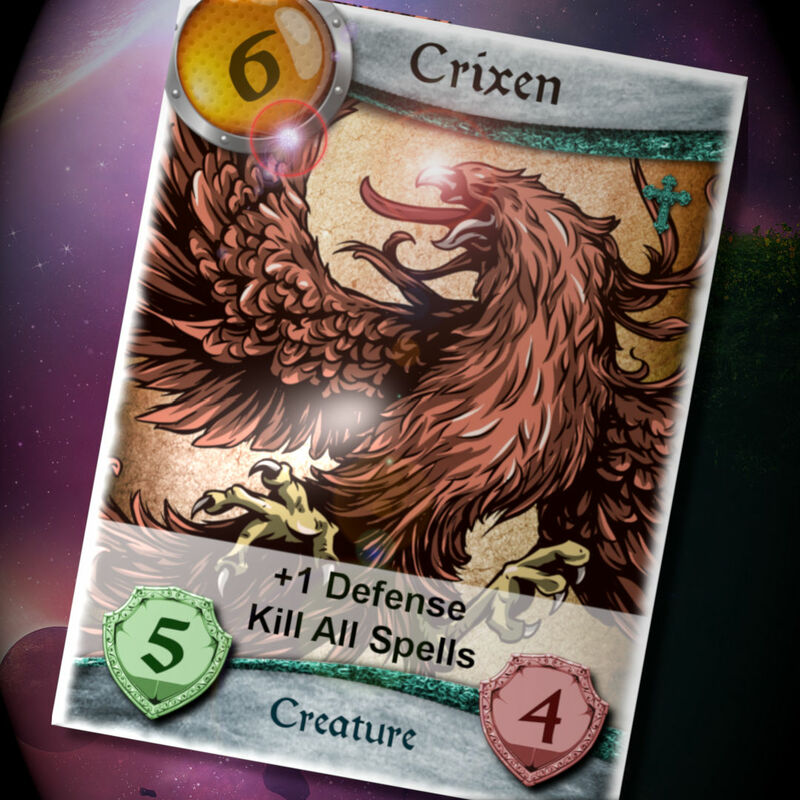 Crixen, a useful un-common card with a moderately good attack and additionally inflates your defense by one. The most useful ability of the card is to kill all your opponent's spells putting you in the attacking frame of mind again. This card is not collected or unlocked but is part of the starter Mythic deck. 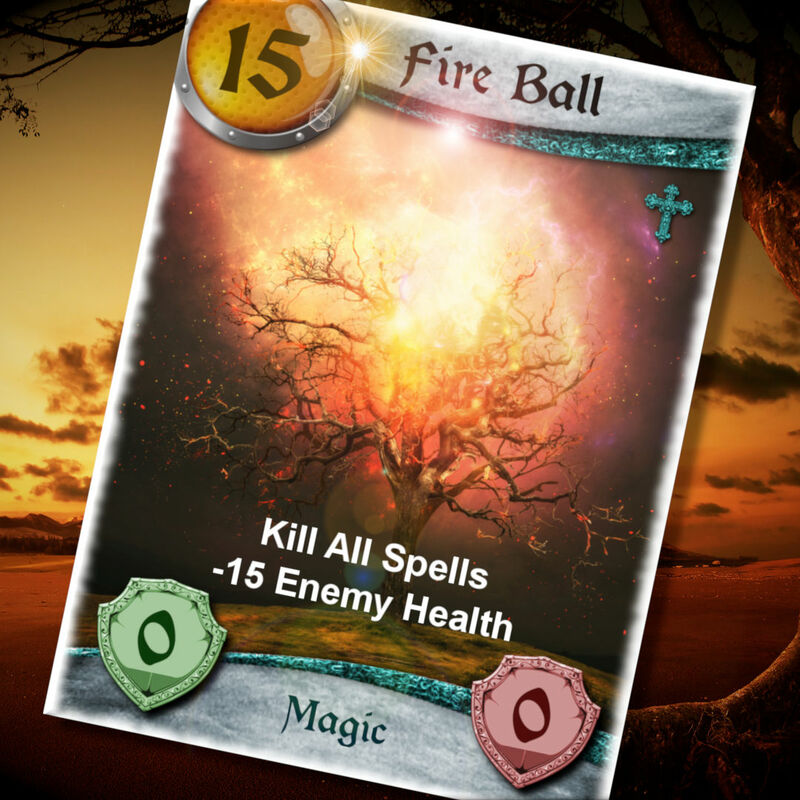 The Fire Ball is an un-common magic card, usefully destroys all your opponent's spells and additionally removes a decent 15 health points. With a manna requirement of 15 it would only be played in the later stages of battle. 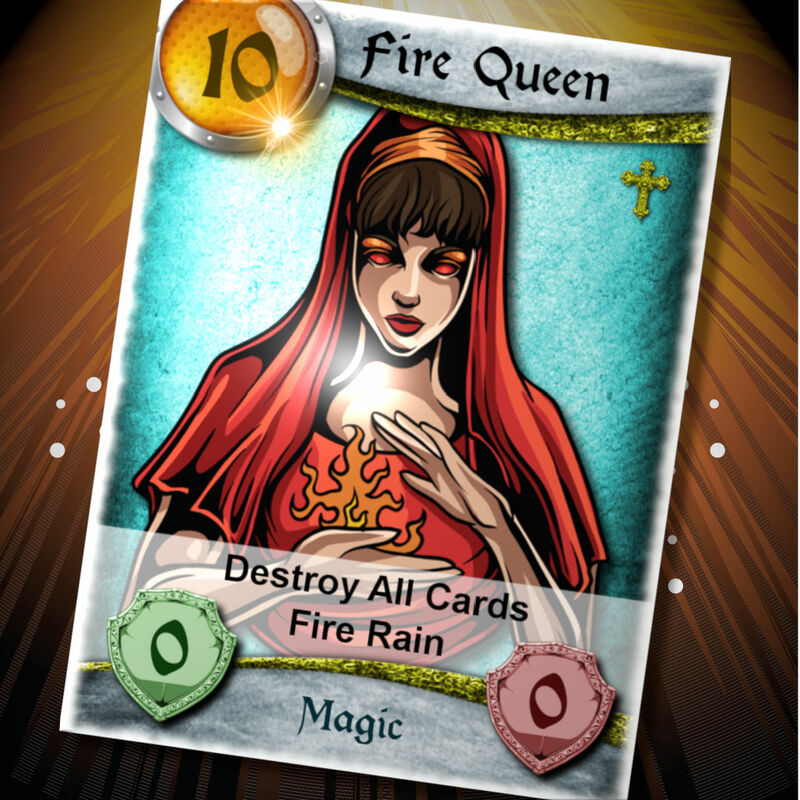 The Fire Queen is one of the most powerful magic cards in the Mythic deck. If you are in a tight spot, the enemy has impenetrable defenses and a crushing attack, this card will wipe the slate clean and bring a little smile to your face. 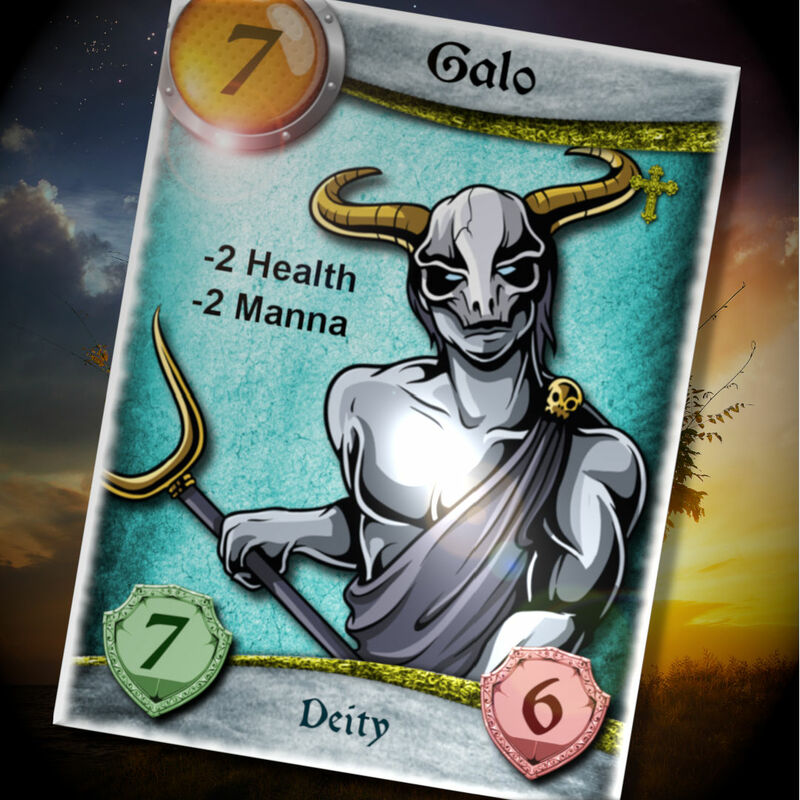 The strength of Galo is the ability to remove 2 manna from the opponent, having a medium manna requirement make him dangerous to set the enemy back a little. 22nd February 2019 this unique 3.5 year indie game by Ahavah Studio has launched. A look into the unique fast-paced magic card combat system through which all the boss battles are fought. Awesome, thank you for the words, it took me a long time to create but now it's time for light bearers around the world to give darkness some of its own medicine...good luck!